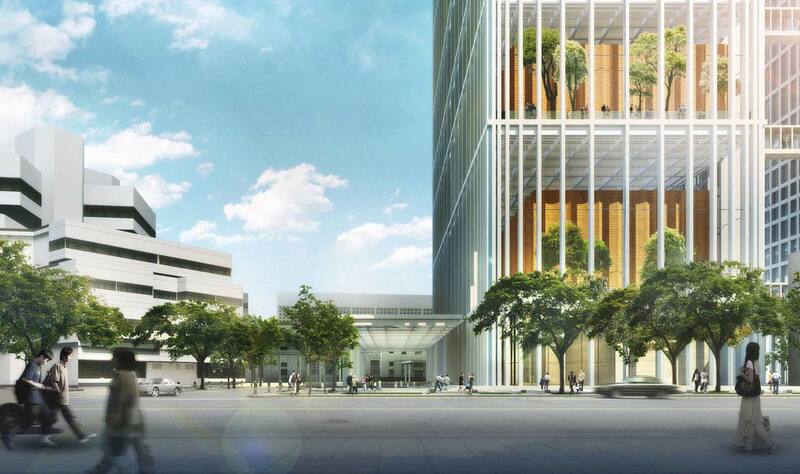 The Singapore Subordinate Courts have announced the winning design for a new courts complex after an open competition process that started in September last year. 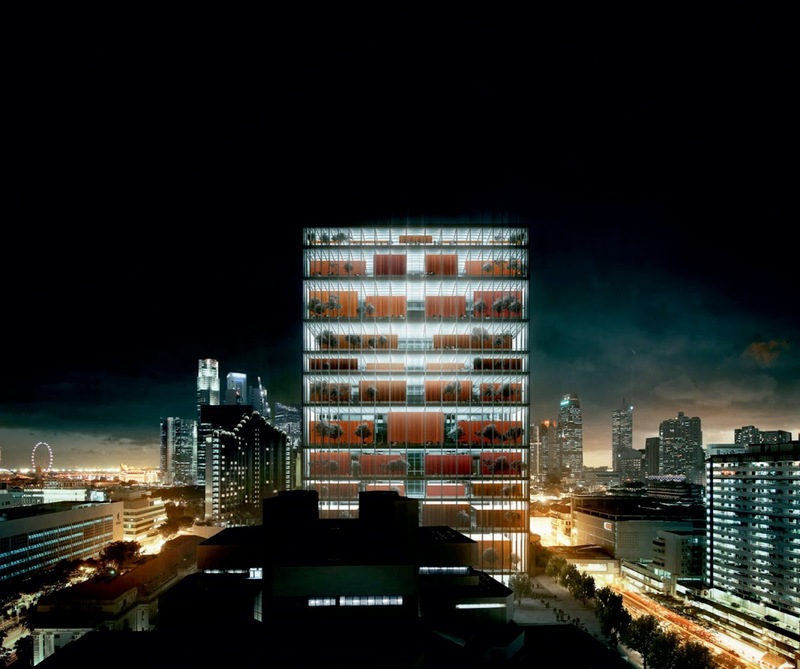 the design, by London-based Serie Architects in collaboration with local Singaporean firm Multiply Architects, includes two new towers and the renovation of the existing Octagon courts building. Serie and Multiply will work with Cpg Consultants Pte Ltd to implement the design. 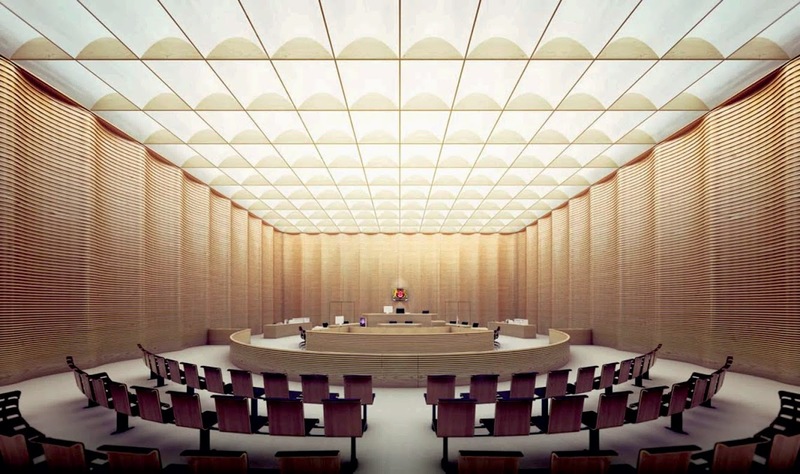 One of the new towers will house the criminal courtrooms the other the judges' chambers and supporting functions. 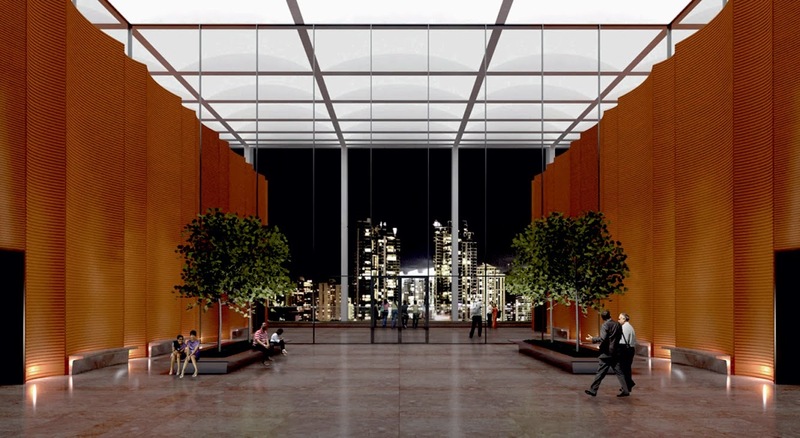 the two towers will be linked by a series of foot bridges that enable the controlled circulation necessary for the courtroom process. The courtroom tower is an open frame supporting a series of shared terraces on which the courtrooms are placed: it has no external facade. in a metaphorical sense this represents the openness and impartiality of the judicial process. 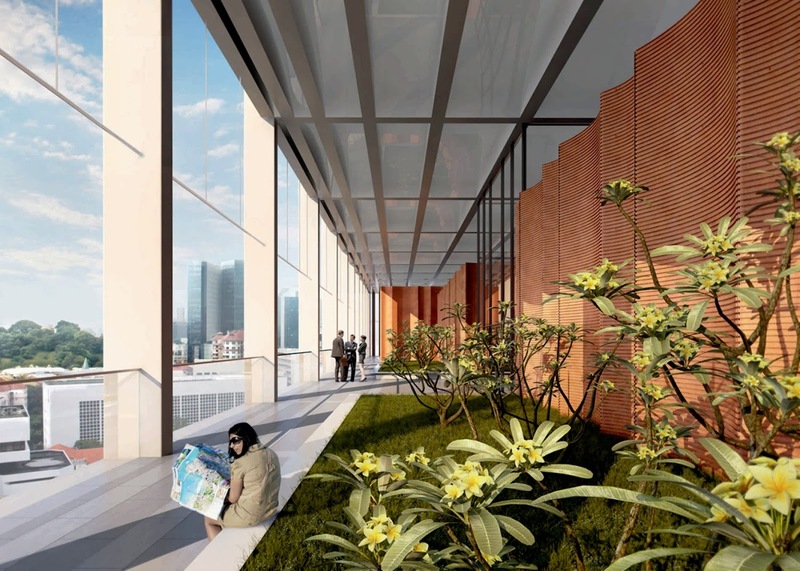 the outdoor terraces feature high rise gardens and are designed to allow views across the city thereby reinforcing the civic role of the building. the gardens will play an important role in filtering tropical sun. The courtrooms will be clad in ribbed terracotta which will reflect the colours of the tiled roofs in the adjacent historic Chinatown shop-houses. the existing octagon courts building, built in the 1970s, will be refurbished and will house 35,000sqm of civil, family and juvenile courts. 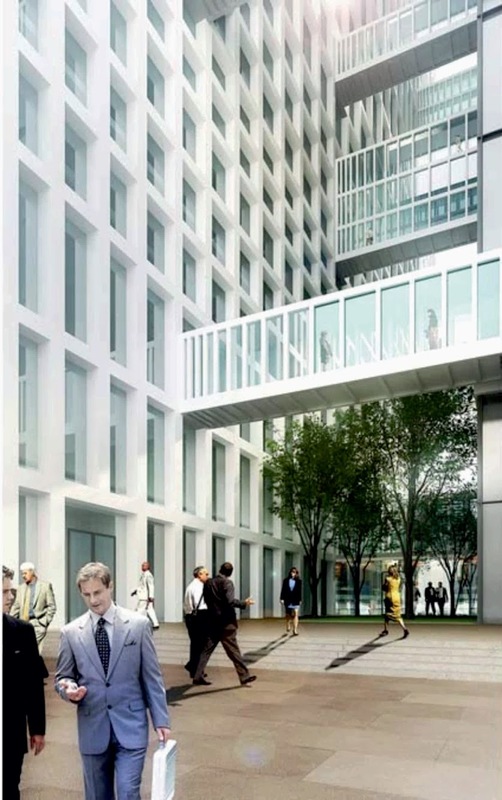 the two new 150m high towers will have an area of 110,000sqm and will accommodate 60 criminal courts. the new complex will be three times larger than the current courts. A public viewing was held in March to invite views on the shortlisted designs. Chris Lee, Principal at Serie Architects, comments, 'the relationship between the city and its civic buildings was our primary interest for this project. the new courts complex should be a building that is symbolically open and accessible to the public. Its design language is drawn from the city should be readily understood by all Singaporeans. Serie and Multiply worked with structural engineers Akt Ii. 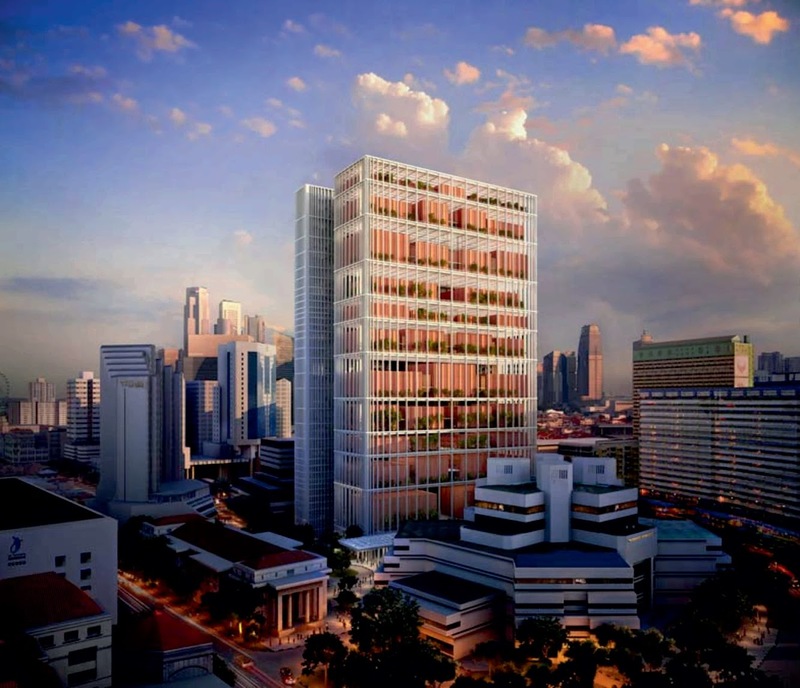 Albert Williamson-Taylor, Partner at Akt Ii, commented 'with the continued debate surrounding sustainable tower design it is encouraging that a client like the Justice Department of Singapore is promoting innovative, environmentally-friendly architectural solutions'. Description of S erie Architects.